Flip that box around like a smart grown-up and take a look at the ingredient list: sugar, flour, sugar in another form, sugar in a different color, sugar with a pretty name, etc. It’s Type-2 diabetes in a bright box featuring a cartoon character selling love handles and loneliness. And now they have a new marketing angle: a clever blend of childhood nostalgia and “fat acceptance.” They tell us to eat what we want and love our body no matter what it looks like. Presumably, this is because they’ve finally recognized that the only people still eating cereal for breakfast have already given up on their health and body composition. Funny thing is, when looking at the evidence, it’s clear that there were never really health benefits in the first place to back up all these “healthy” labels. Here’s how many of them originated and why they’re wrong. It’s taken over 40 years to officially call BS on the fraudulent claims about fat. The fear of dietary fat started in the 60’s and 70’s and immediately moved breakfast cereal into the “healthy” category. Hey, sugar is fat free! Bacon, eggs, and butter were out. Low-fat indigestible roughage was in because the research of the time was suggesting that saturated fat was clogging our arteries and increasing our risk of heart disease. A low-fat diet isn’t a benefit because eating fat doesn’t cause disease. NOT eating it probably does, and we now know the body even needs some saturated fat to function optimally. Once you understand the origins of the low-fat guidelines it’s easy to see how the advice to eat more fiber came about. Denis Burkitt was the man behind the 1970’s research linking high-fiber diets to lower rates of disease (colorectal cancer specifically). Just like Ancel Keys (the fat fraud), his evidence was awful. He basically claimed that African tribesman were healthier than Westerners because they ate their grains whole (with the fibrous outer shell). He conveniently failed to include a number of disease-free tribes thriving on starch-less diets high in saturated fat and animal protein, like the Masai. Nonetheless, the bran we were throwing in the garbage became a prized possession, Burkitt wrote a best-selling book, and the “high-fiber” stamp fit perfectly next to the “low-fat” one on our breakfast bowl of blood sugar and body fat. It remains there today, right along with the misconception that whole grains are healthier than refined grains and that more fiber is a good thing, regardless of the source. The “lipid hypothesis” suggests that elevated cholesterol is associated with heart disease. And when we add it to what high-fiber, low-fat fanatics tell us, it’s no wonder we think the way we do and fall for bogus health claims. They did so despite the fact that a causal relationship was never established, there’s a library of evidence disproving it, and the original experiments used rabbits (herbivores that can’t process dietary cholesterol) and a chemically prepared bare-cholesterol, which tends to oxidize. But along came the prescription statins, and all of a sudden the questions and doctors aggressively opposing the theory disappeared. This created an environment where we dish out damaging side effects to more than 32 million Americans to lower the thing that’s NOT associated with heart disease and does nothing to prevent it. If cholesterol were associated with heart disease, there would be fewer heart attacks in those on statins and those with lower cholesterol, but there aren’t. And there would be more heart attacks in those not on statins with higher cholesterol, but there aren’t. The two variables aren’t even related. What we do see is statins causing mitochondrial and hormonal dysfunction, and lower cholesterol levels associated with cognitive and neurological impairment (Alzheimer’s, Parkinson’s, depression). This shouldn’t come as a surprise when you understand that cholesterol is a building block for cell membranes, precursor to steroid hormones and essential nutrients, and fuel provider to neurons who can’t generate it on their own. Cereal fiber’s ability to lower cholesterol is more of a detriment than a benefit. And realistically, the people getting heart attacks are the ones with elevated triglycerides, low HDL cholesterol, and excess small-dense (oxidizable) LDL particles – the same thing eating less saturated fat, more high-glycemic carbs, and vegetable oil-filled boxes of stuff claiming to “lower cholesterol” provides. That’s a joke. Or at least it should be. Salt doesn’t make you fat and it’s probably the last thing the average person needs to be worrying about when it comes to health. High blood pressure is the fourth and final phase that turns Syndrome X into the Deadly Quartet. When you have metabolic syndrome, eating less salt won’t do anything to solve the real problem. People with high blood pressure don’t need to eat less salt. They need to stop drinking liquid fructose and start driving-past instead of driving-thru. More importantly, trying to abide by the FDA and AHA’s recommendations to keep salt intake below 2400 mg per day (1tsp) increases cardiovascular disease risk and mortality from a heart attack or stroke. Ironically, this appears to be the result of elevated triglycerides and reductions in insulin sensitivity – the same thing driving the high blood pressure in the first place. Therefore, one could say that your low-salt food is a double-whammy since you’re consuming the food that’s elevating the cause of high blood pressure and opting for the “lowers blood pressure” variety that’s making it worse. The gliadin proteins in wheat can be damaging to many people because of those proteins’ ability to induce inflammation and increase intestinal permeability. Wheat itself may also cause cravings and interfere with your appetite-regulating mechanisms. However, this doesn’t mean all products with a “gluten-free” stamp of approval are suddenly health foods. Pizza is still pizza, pancakes are still pancakes, and a slab of pound cake beside your coffee is and always will be a bad choice… gluten-free or not. This should be common sense, but millions are willingly fooled every day because it’s pretty easy to convince us that a delicious junk food is fine when it has an official-looking health claim on the box. 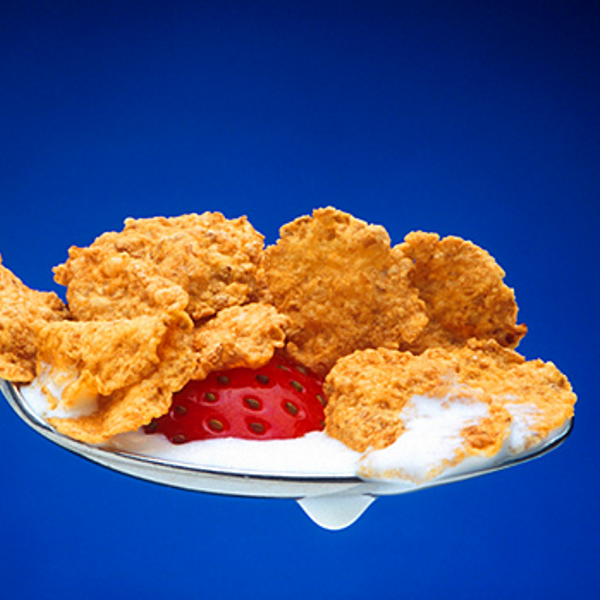 Gluten-free cereal may be better than gluten-filled cereal, but it’s still cereal. And you’d be better off leaving both for the birds. Limb M. 2014. Tougher action is needed to address “alarming” levels of overweight and obesity, says England’s chief medical officer. BMJ 348:g2438. Huang X, et al. 2008. Low LDL cholesterol and increased risk of Parkinson’s disease: prospective results from Honolulu-Asia Aging Study. Mov Disord 23(7):1013-8.
de Lau LM, et al. 2006. Serum cholesterol levels and the risk of Parkinson’s disease. Am J Epidemiol 164(10):998-1002.